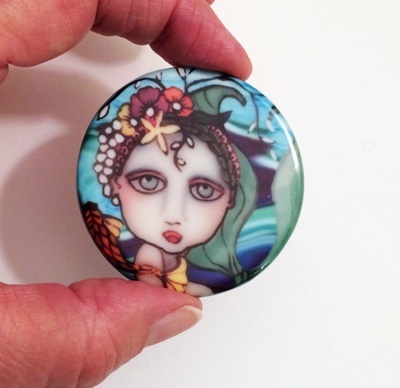 Porcelain Round Cabochon with the images heat set into the porcelain. No paper, sealers or anything, just the ink, heat and a heavy press. They are 2 inch round and perfect for beading around. These are shiny and vibrant and would make a great focal for beading.